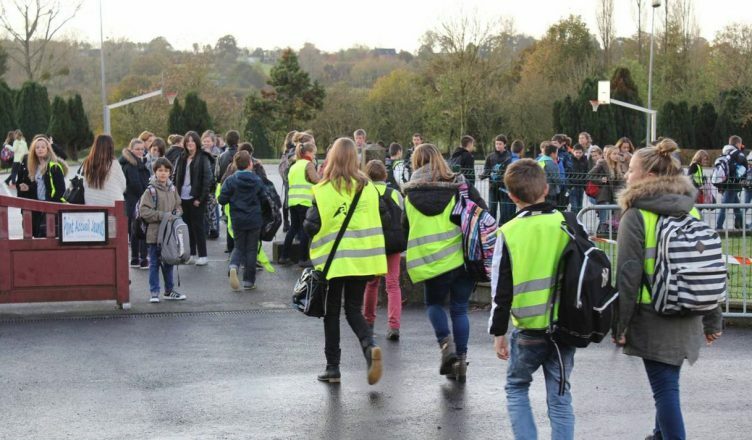 While waiting to harmonize the five departments, the regional council decided to make the yellow vest mandatory in school buses. A decision that surprises among local elected officials. Since 1 September 2017, school transportation is a competence of the regional council and no longer of the departments. A change of no consequence for students and families, with one exception, the yellow reflective vest that can be seen better at bus stops and roadside, especially in rural areas. Provided in recent years by municipalities, communities of municipalities or the department as is the case in the Channel, the famous vest was managed disparately. For this year 2018-2019 which will be perhaps transitory, no distribution thus no obligation and no sanction “even if the vest is strongly advised”. It’s up to families to buy one for each of their children. Manéo goes so far as to suggest supermarkets or specialized sports shops. Without indicating an average price. “If the wearing of the vest with reflective tape or other retro-reflective device is to be advocated in the best interest of students,” says Mano, many mayors wonder why “the Region has not continued distribution” while reflecting on common practice for the five departments.